“I’m so stressed out.” How often have you heard those words escape the lips of your boss, your partner, your colleagues or even random commuters – you’ve probably even said that phrase yourself once or twice. It seems as if nowadays everyone is so full of anxiety, stress, fear and/or anger that it’s so casually accepted. It’s seen as a natural byproduct of our society and how it is run. However, stress can do terrible things to your body and your mind – health should be our priority, but it’s not. Despite the amount of studies that have been done on stress and its affects upon our bodies, people continue to push themselves beyond their limits because they’ve grown to believe that it’s the only way to keep their heads above water. We’ve been taught that if you cannot take the heat to get out of the kitchen and unfortunately, stress is seen as a weakness more than anything. It’s not. Forget that belief right now – human emotions are never signs of weakness but of our innate humanity. Feeling stress can be as natural as feeling joy or sadness; however, feeling stressed every day is a recipe for burnout and disaster. In small quantities it has been proven that stress can motivate and encourage creativity – systems such as deadlines or rewards help stimulate people in the workplace. Nevertheless, stress is like a knife – it can be useful and helpful in preparing the vegetables for a healthy soup or it can cause you to slip up and make a bloody mess of everything. Another interesting finding of this study was that the materialistic people weren’t only more likely to be more depressed, but they also found it more difficult to be grateful for what they did have which prompted their misery. Self-inflicted misery it may be, but then what’s the solution? Throw away all of our possessions, live under the stars, the pouring skies and the baking heat with only a hobo sack on our backs so that we can truly revel in the joy provided by simplicity? No. Going from one extreme to another is never healthy – getting rid of everything we own is not a solution – it’s more of a last ditch treatment attempt on our part. Nevertheless, having too much is harmful. I have seen firsthand what kind of damage having too many things and not enough love or kindness does to a person – someone close to me died that way. Lost, angry, broken – he left us in a blur of impulsiveness and confusion. He exhausted himself at work making him a tired soul who yearned for something he could not name. Stress kills. It manifests in uncomfortable and unhappy fashions – personally, I know that I have suffered headaches, migraines (yes, there is a difference and you would know if you’ve ever experienced one), stomach aches, acid reflux and temporary insomnia because of stress. Stress is known to cause the body to lose its ability to regulate the inflammatory response, making it more susceptible to sickness. We know stress can cause acne but did you know it can also cause boils? And take for instance what happens when we’re stressed. Being under pressure often makes us desire fast remedies to our frustration and it makes us less likely to think things through. Being under stress means we lack the time and the mental clarity to make better choices so it’s no surprise to hear that stress leads to impaired decision making. Stress is not something to be romanticized or idolized. The people who are stressed are not always more productive, they’re just harried. Being stressed long term does not make you a better person; it does not make you more creative – it makes you angry, frustrated and sad. The Baylor study cites gratitude as the key to being more satisfied with one’s life. Focusing on other’s needs can help you put your own life in perspective; maybe you can do without those new clothes and instead take your child to a live show of their favorite band. Maybe you don’t need that new laptop cover and you can buy your younger sibling an ice cream cone instead. These actions seem small but when done without a concentration on how the outcome will benefit you they become things of beauty. It isn’t about the outcome sometimes but the intention behind the action. 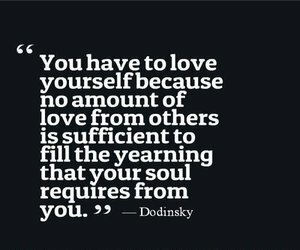 Living for others does not mean that you should neglect yourself; it simply means that every now and then you should take stock of your life and decide if you need everything that’s currently in it. If something is cluttering up your life with negativity or drama cut it out, do it politely and slowly if need be, but end it. Arguing has also been shown to increase the risk of death during middle age as proved by a study from the University of Copenhagen in Denmark. Stressful relationships can cause blood pressure to rise and increase the possibility of experiencing angina. Even cynicism has been linked to potentially increasing the risk of having dementia according to research done at the University of Eastern Finland. Cardiovascular problems as well as cancer-related deaths have been associated with cynicism before but dementia is an entirely new testing ground. It was ensured by the researchers that the study they conducted did not assume a link between cynicism and depression as risk factors for dementia but merely a cynical attitude on its own merit. So, what’s the solution? We seem to already be in dire straits – how can we change ourselves and still maintain our productivity (as well as our sanity)? How can we quiet the little voice in our heads that tells us when we aren’t stressed we’re being a waste of space? Start small and slow – give back everything you don’t need. Go through your clothes and donate the ones you do not wear anymore. When you go shopping experiment with window-shopping but do not declare a boycott on spending money. Do not go from one end of the spectrum to the other. Make birthdays more about being with friends and family than about gifts. Take a break when you need one, your project won’t spontaneously combust if you leave it for a few minutes. Be thankful for what you have and your future opportunities. Bask in the glory of thanksgiving. 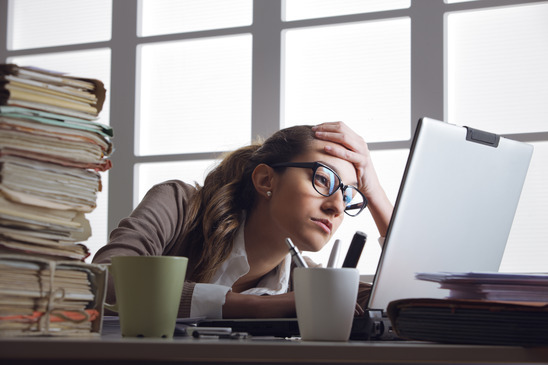 Stress will still be there – sometimes it might catch you or buoy you at deadline time but always remember to show it the door after it has spent the night – you don’t need that kind of clutter in your fantabulous life. The Culture of Depression: Nature, Materialism, and Depression by ROBERT J. HEDAYA, M.D. Thank you for dropping KNOWLEDGE! Stress is NOT something to be idolized, and it only worsens the ability to make sound decisions! Unfortunately, my tendency to stress has developed an autoimmune ulcer in my sigmoid colon, which I struggle with constantly. I firmly believe in the slogan “No pain, no gain”; however, we must understand there’s nothing to gain when we masochistically indulge in our work. Rest truly is underrated in our society today, and this article illustrates that perfectly.